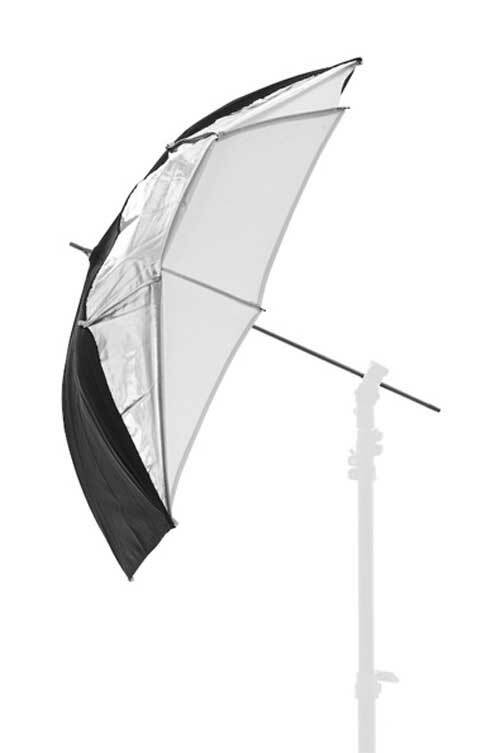 The Lastolite Dual Duty (Black/Silver/White) umbrella is a translucent, white fabric, shoot through umbrella that can be backed with silver fabric for total control and a more specular light as a bounce. Colour temperature is 5600/5450°K. Light loss for shoot through equates to a 0.6f stop and for bounce 0.3f stop. Available in two sizes (80cm and 100cm). Please note: this will not fit Elinchrom or Prolinca heads due to the thickness of the umbrella shaft.